The crop is making progress but there have been a few bumps in the road. We had to rotary hoe a few fields of corn to get them up and out of the ground. 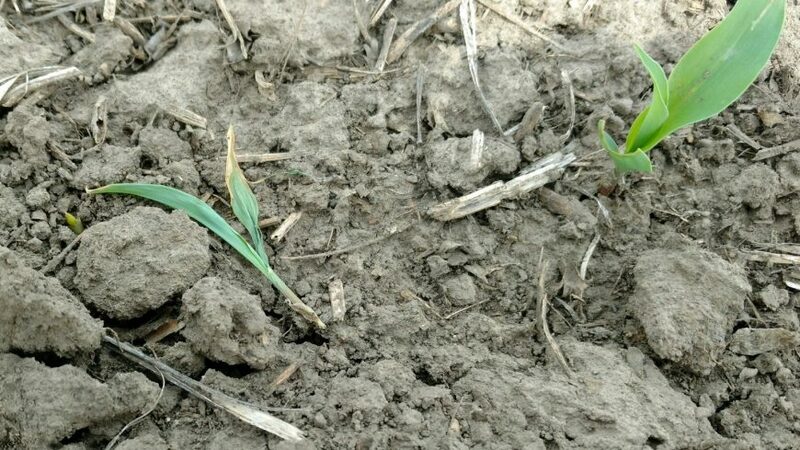 Cutworms have also shown up in some of the emerging corn and we have sprayed 145 acres so far. The soybean stands look great and show a lot of promise, especially with the early and quick planting. 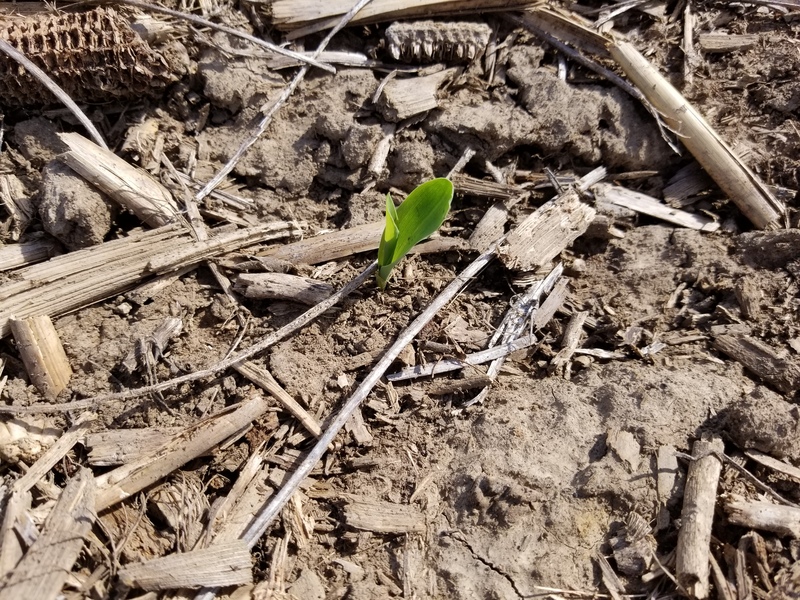 Next week we will begin post spraying corn herbicide and will start pulling soil nitrate samples to determine how much additional nitrogen will need to be applied to the corn at sidedress time. We could still use some rain. About half of the farms received some rain this past week, 0.3-0.7 inches. In town I received 2.9″ in my gauge in about a 25 minute downpour!